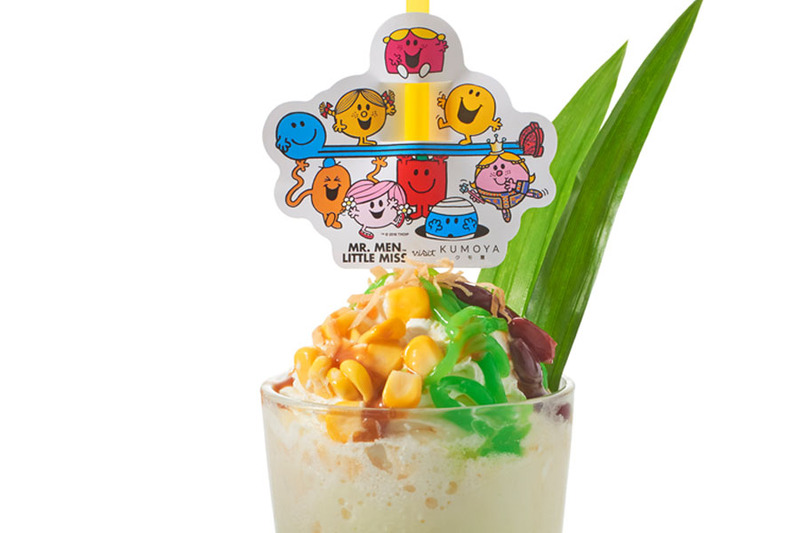 How many of you have read those Mr. Men and Little Miss books growing up? They taught us so many simple lessons about life. 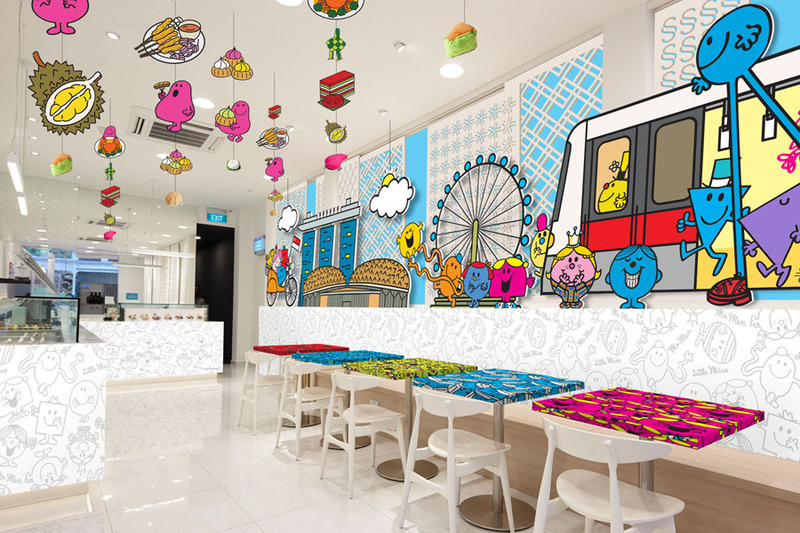 Well, these colourful illustrations by Roger Hargreaves has come alive in Singapore’s very own Mr. Men and Little Misses pop-up café. 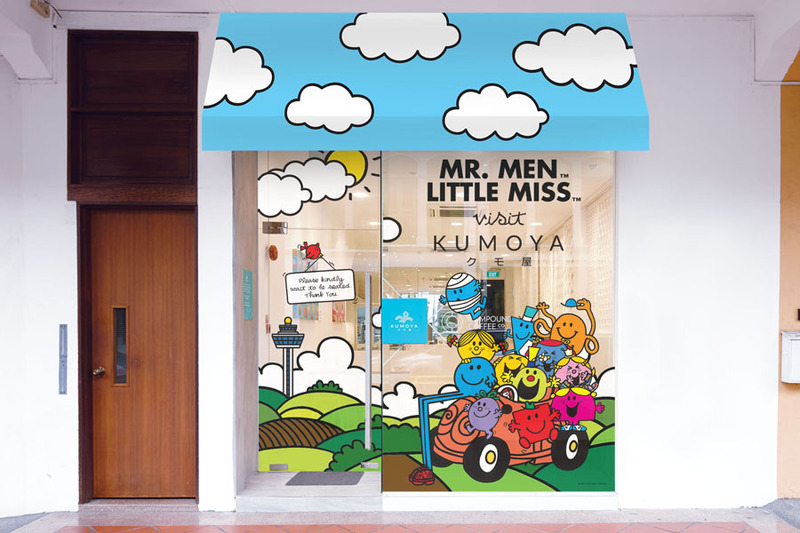 The pop-up café will start 5 July 2018 to end September 2018 at Kumoya (walking distance from Bugis MRT), where you can chill and dine with the Mr Men and Little Miss characters. 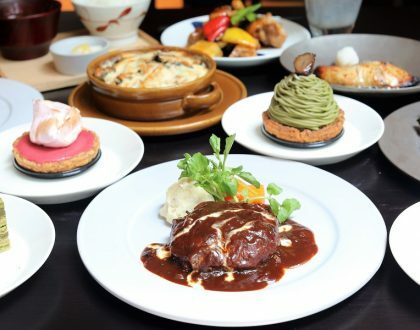 Kumoya is Singapore’s first Halal-certified Japanese-French café. 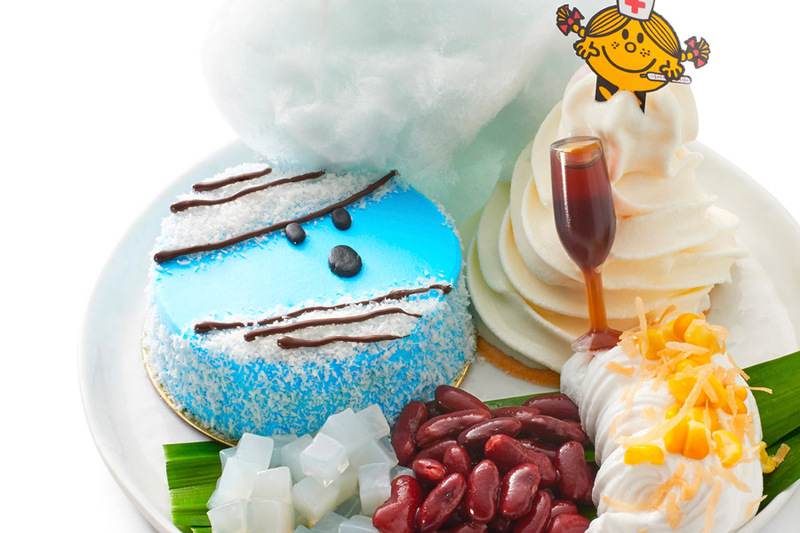 It is no stranger to character cafes, also behind Miffy Café, Cinnamoroll Café to the most recent Tokidoki pop-up concepts. 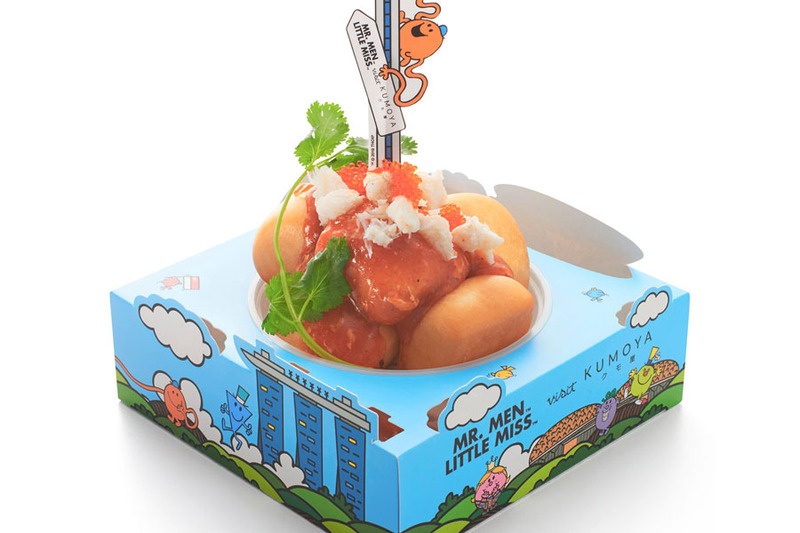 The limited-time menu is also curated and styled by well-known food stylist Shirley Wong (Little Miss Bento – she should have her own Little Miss character LOL) and the Kumoya team. 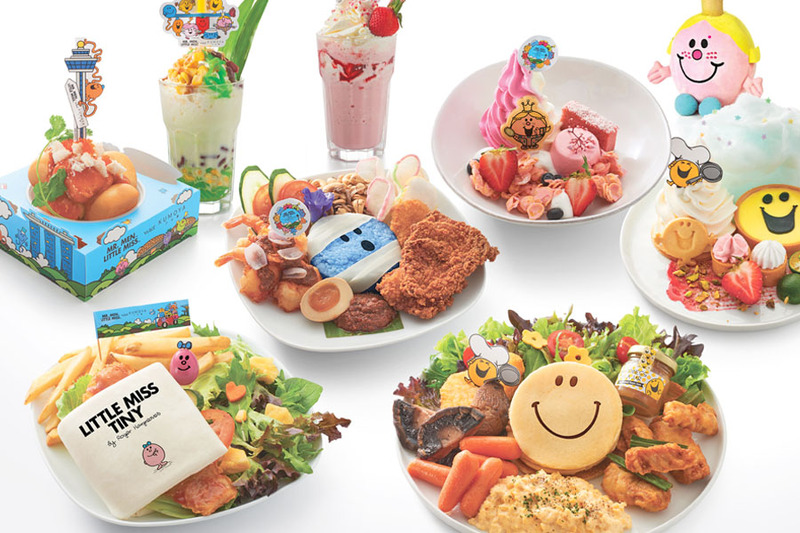 Shirley is also behind the menu design of several Character Cafes in Singapore, including Gudetama Café and the most recent My Melody Café Singapore at Suntec City. What I am happy to know is the menu takes a local twist this time round, also as a form of celebrating Singapore’s National Day. 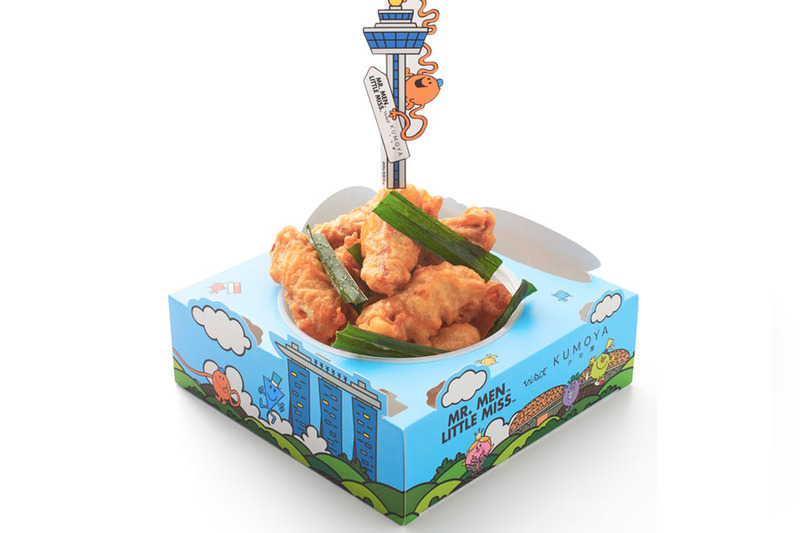 The menu will feature locally-inspired Mr. Men and Little Miss mains, desserts and beverages – all customised for Singapore’s taste. 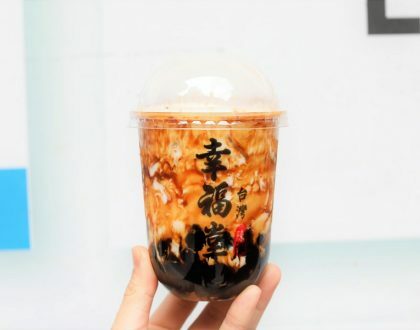 You can expect Fried Mantou with house-made Chilli Crab Dip, Mr Strong Chilli Crab Pasta, Mr Bump Knock-out Nasi Lemak, and Strawberry Bandung Frappe. 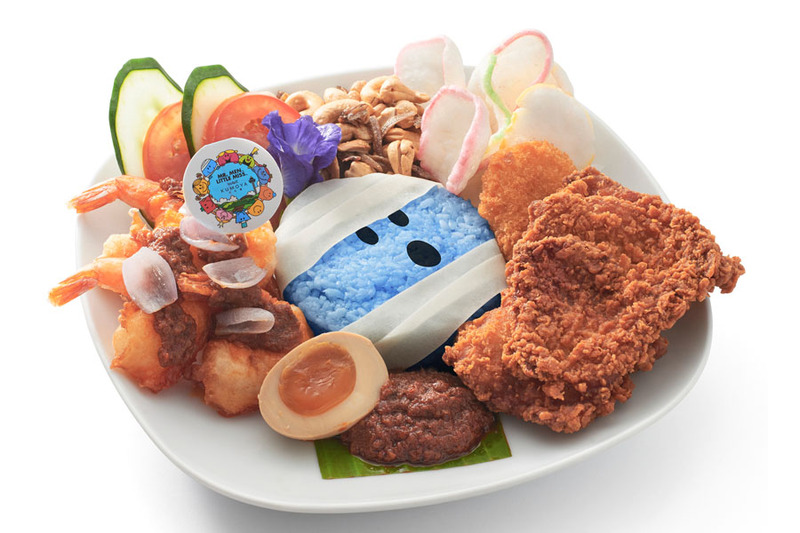 Butterfly pea flower coconut rice (“bandaged” with pohpiah skin), “sedap” tempura sambal prawns, crispy golden fried chicken, crunchy walnut and anchovies. Accompanied by colourful keropok, potato croquette and ramen egg. 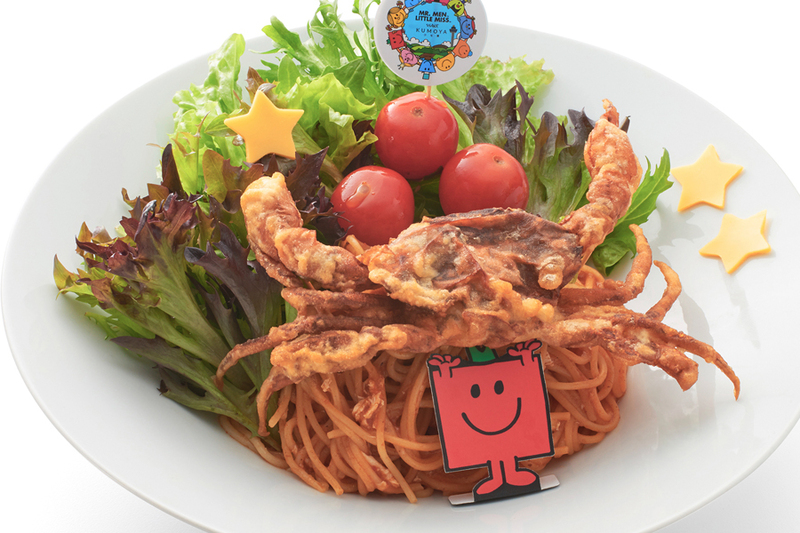 Chilli crab pasta with crunchy Tempura softshell crab, fresh garden salad, tomato confit, keropok and finished with cute cheese stars. 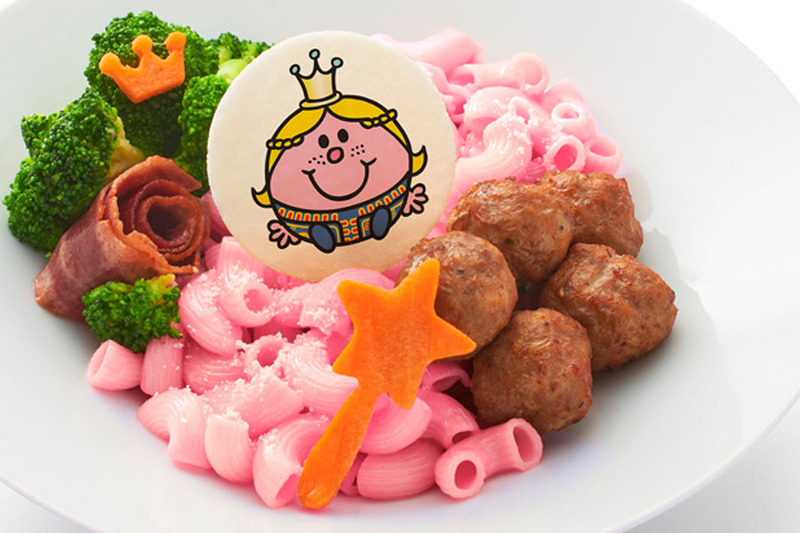 Pink beetroot macaroni pasta, served with beef meatballs, crispy turkey bacon, steamed broccoli. Complete with cute carrot crown and princess. Little Miss Tiny quail egg, surrounded by tempura sweet and sour fish. Also available is a black pepper tempura soft shell crab burger. Both burgers are accompanied by a special “book” bun, hand-cut fries, fresh garden salad. Homemade buttermilk pancakes, hashbrown, scrambled eggs, roasted portobello mushrooms, carrots and tempura mackerel otah. Accompanied by fresh garden salad with cherry tomatoes, cute cheese flowers and a bottle of cute traditional kaya jam. 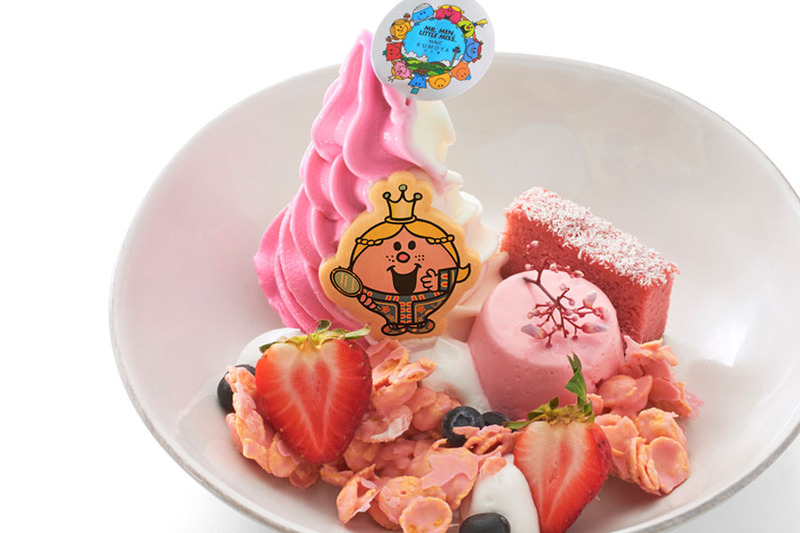 Special double swirl Strawberry Hokkaido soft serve, cute Little Miss Princess cookie, Bandung pudding, strawberry sponge cake, fresh berries, strawberry chocolate coated cereal crunch, fresh cream and berries sauce to complete this royal dessert. 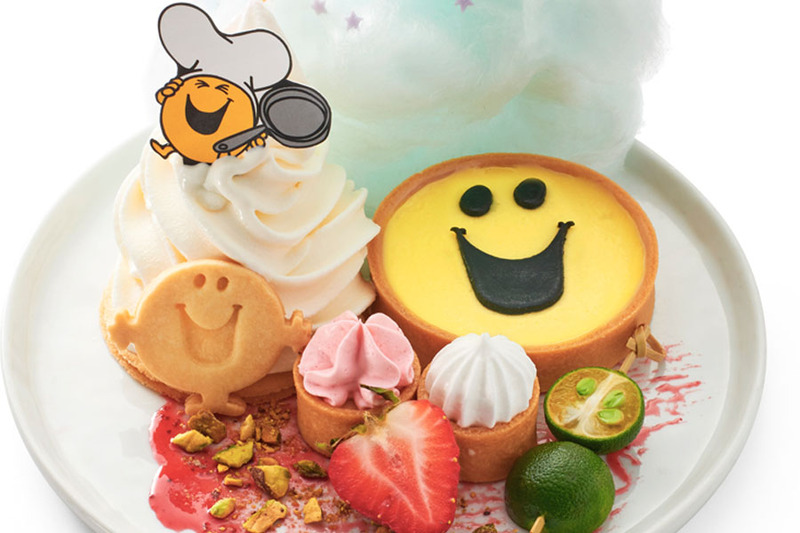 Sweet Mr Happy Calamansi tart with fresh-churned Hokkaido soft serve, fresh cream, old-school gems tartlets, fresh strawberries, pistachio bits, a cute Mr Happy cookie and finally magic stars cotton candy. 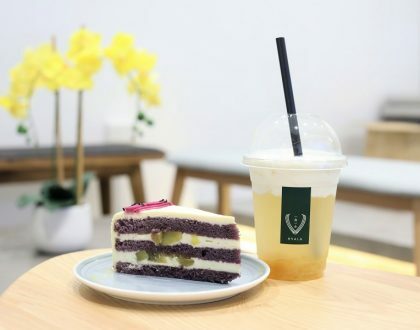 Complete with whipped cream and garnished with pandan leaves. 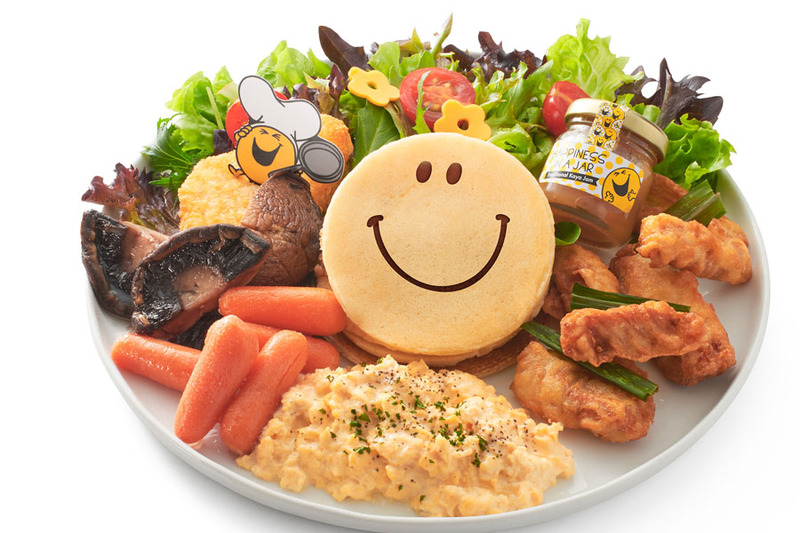 With over 90 characters, the Mr. Men and Little Misses have brought fun and laughter to generations of families for over 45 years. Also look out for Little Miss Princess ‘dressed up’ in Sarong Kebaya at the photobooth. Note: During this pop-up, there is a requirement of a minimum expenditure of $10 per customer, and dining time may be limited to 90 minutes.